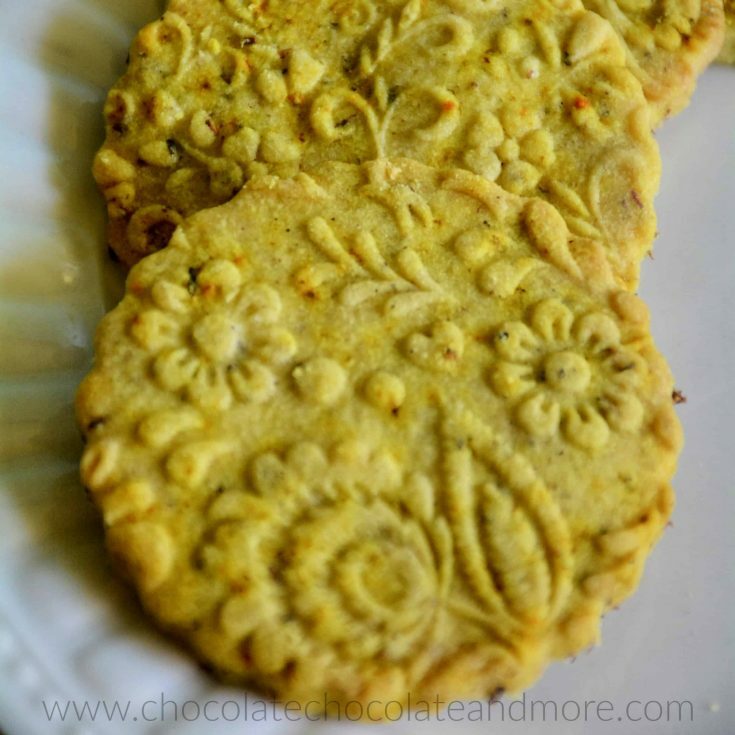 Turmeric Shortbread Cookies - Chocolate Chocolate and More! 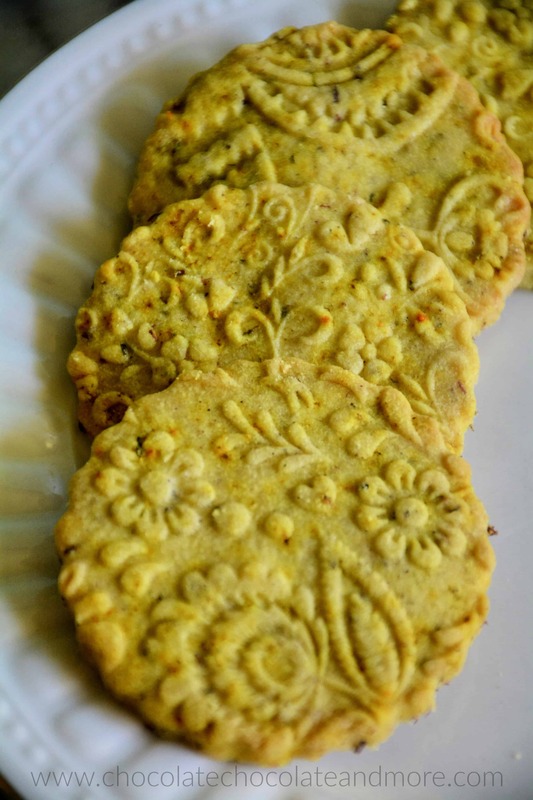 Turmeric Shortbread Cookies – a simple recipe with a sophisticated twist. Turmeric tea gives this shortbread lovely fall colors and wonderful flavor (and even a little nutrition). Enjoy this shortbread with a glass of tea or coffee. I love shortbread. It’s so simple and so good. 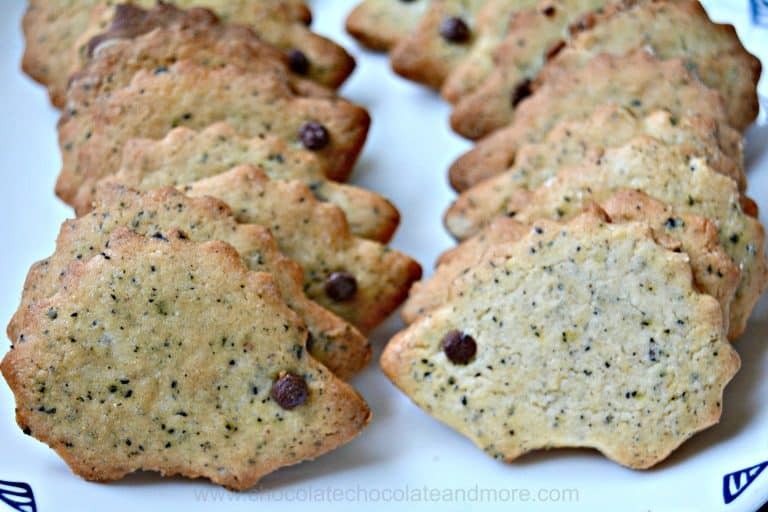 Flaky, buttery cookies that go well with a cup of tea or coffee or milk. I bought some Numi Amber Sun Turmeric tea to try. I like to have herbal teas in the afternoon or I’m up all night. 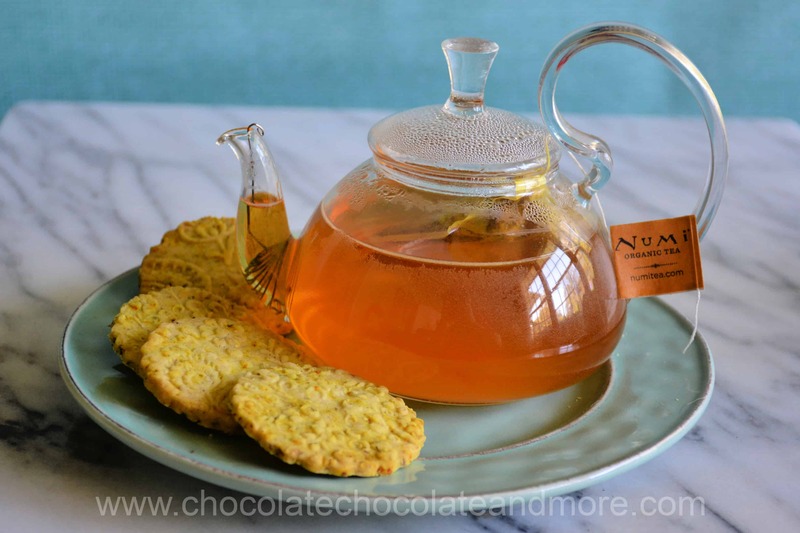 Numi Amber Sun Turmeric tea has a hint of cinnamon and vanilla so it’s a great break. As I was drinking my tea, I thought, “this flavor would be really great in some cookies.” So off to the kitchen. Since the flavor of the tea is subtle, I needed a simple recipe. Shortbread has only butter, sugar, flour and flavoring. I added an egg to make the dough pliable for rolling. To get the tea flavor, I just opened the bags and added them. I refrigerated the dough overnight to let the flavor develop. I LOVE the result. Turmeric is used to dye silk yellow in Asia. It gives the dough a lovely natural yellow color. 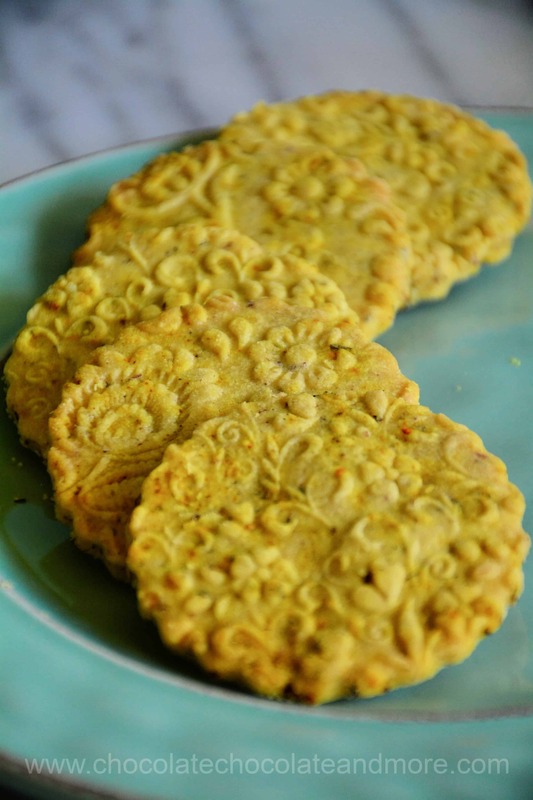 The bits of tea add pretty little flakes of orange and brown to these turmeric shortbread cookies. Turmeric is also good for you. It reduces inflammation (so less arthritis and migraines), it’s good for your heart, skin and brain and so many other things. I’m not saying these cookies are good for you but it’s nice to know there’s something healthy in them. You can learn more about the health benefits of turmeric from Cognitune. It’s a good thing they’re so simple to make. These went fast. I took some to church for a friend and gave some to the kids sitting next to me. 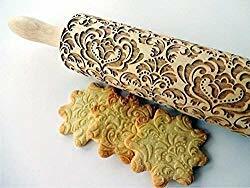 Since the cookies are a little plain, I used embossed rolling pins to decorate them. 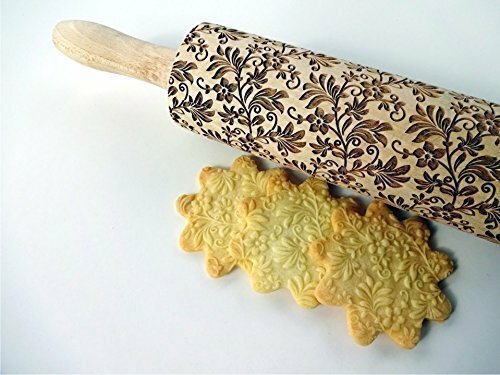 There are several tricks to using embossed rolling pins. Dust the surface of the dough and the rolling pin with flour. The dough should be chilled but soft. Lastly, apply firm, even pressure while rolling. Shortbread works really well for embossed cookies. The dough doesn’t have leavening (baking soda or baking powder) so the design stays while the cookies bake. I’ve put links to the pins I used at the end of this post but there are lots of fun designs and some companies let you design your own. They make great Christmas gifts (hint, hint). Add the egg, tea and cinnamon, then beat in the flour. Wrap dough in plastic wrap or put in a plastic bag and refrigerate overnight. Roll to thickness of 1/8 – 1/4” thick and cut into 2-3" circles. Bake for 10 - 12 minutes or until lightly browned on the edges. Nutrition information is provided as a guide only. Please consult a dietitian if you have specific dietary requirements. 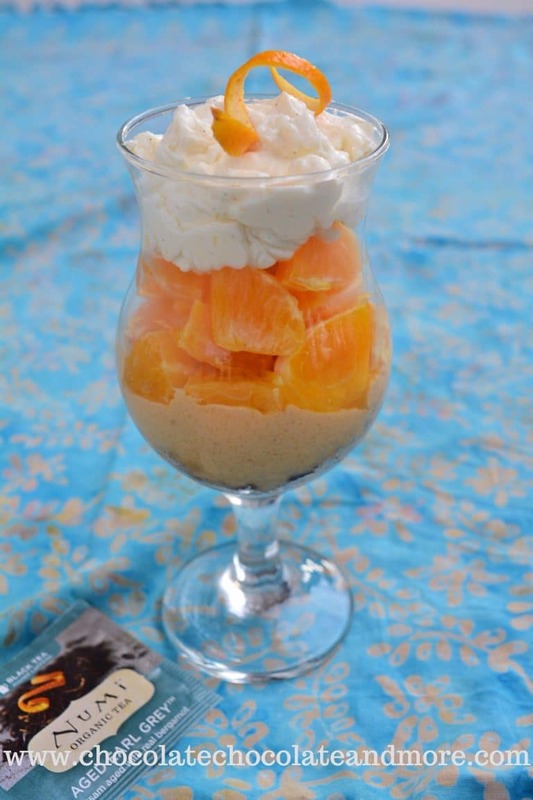 Looking for more tea-flavored recipes? Here’s a shopping list for products used in this post. Embossed rolling pin FLORAL WREATH. Oh dear ! Pinned and shared the beauty ! Thanks so much for sharing. My daughter and her friends loved these! Hi Cjj, I did a giveaway with a Polish rolling pin sponsor and I think they’ve gone out of business but I found nearly identical ones on Amazon and posted the links at the end of the post. Thanks for the time. I bet the cardamom is wonderful with the turmeric!